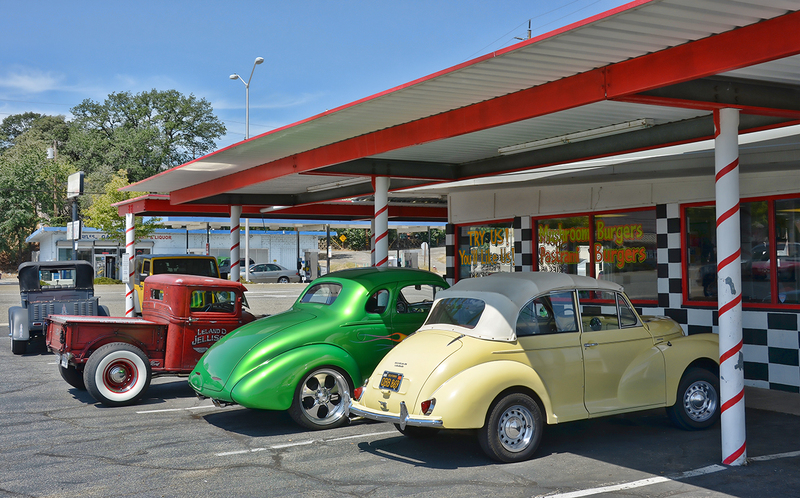 Out on old Highway 99 (now Hwy 273) you’ll find Pop’s 50’s Place. here are a few images from this afternoon. Love the hot rods that often meet up there. In addition to authentic Highway 99 cuisine at the drive-up, Pop’s also makes a great salsa you can buy at the restaurant. Made and sold locally. The next batch will be available tomorrow after 11 am. Click to enlarge slightly. Love the detail on this one! From the Flying A station on Market and Eureka Way. 530 241 0487. Open daily 10 am to 7 pm. 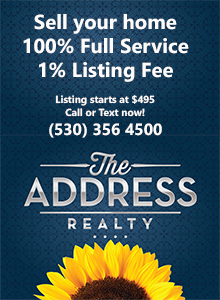 It’s located at 3443 South Market Street in Redding. Roots road food. It’s Really Redding. 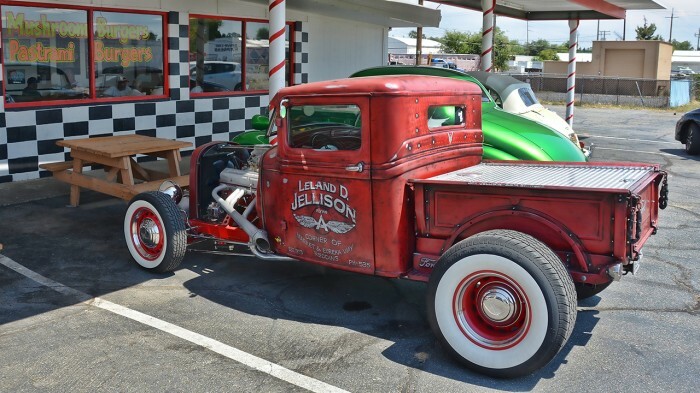 This entry was posted in Restaurants and tagged Hot rods, Photography, Restaurants. Bookmark the permalink.